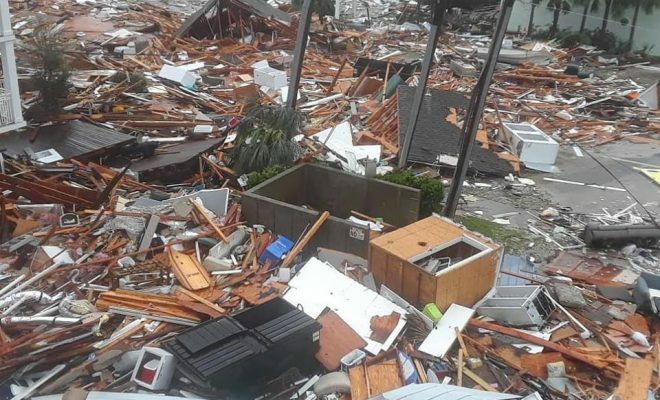 The storm swept away most of the town of Mexico Beach, population 1,072, producing a level of devastation that was “almost unfathomable” after it hit Wednesday afternoon as a Category 4 storm, the Washington Post reports. Now, “search-and-rescue operations continue, not only in Mexico Beach, which was bulldozed by a storm surge that may have reached 14 feet, but also in the backcountry, where residents are fending for themselves and in some cases fearing they’ve been forgotten by the outside world,” the Post notes. One Lynn Haven resident rode out the storm in the bathroom of her mobile home, clutching her bible.